Image masking is the process of separating an image from its background. It also fixes the distorted area of an image or photo. Image masking is used to ensure that the shape of the image is untouched. Image masking in Photoshop is similar to clipping path. 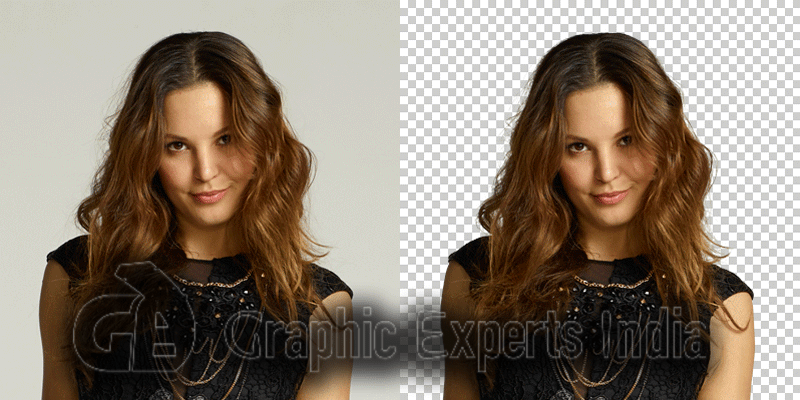 Basically, clipping path helps to remove the background out of an image. But, image masking removes the background along with the accurate shape and details of an image. Image masking service helps to work more precisely to remove the background and to make the hard edge of the object smoother. The right airbrush size can get the image in accurate edge. There are four types of photo masking services available to us. Our team is ready to provide professional image masking service for you. The demand of “Hair and Flesh Masking Service” is very high in Photo Editing Service. You need to pay much attention to separate hair and flesh from the background. Hair and the Flesh areas got the most difficult lining and the edges are thinner. By hair masking, we can give a proper shape to the hair of the image and draw a fine lining. Fur masking also works the same way. It helps to remove the fur areas of the object. Hair and Fur removal works are done using “Pen Tool” of Photoshop. It is mostly used in model, furry cloths, animal skin or doll images. Alpha channel masking is one of the long processing services of Photoshop Image Masking. For alpha channel masking, we have to separate the object from the background using clipping path or Photoshop masking. This image is called Alpha. Then the image is taken to different channels to edit the brightness, contrast and exposure. By alpha channel masking, it is also possible to make changes to minimize the size of the image. Photoshop Transparent or Translucent Object Masking isolates the entire background of the photo. After transferring the object into new background, the object will be transparent and the color will be visible. You can make the object constant and change the background according to your taste by this service. It is used in glass, car glass, sunglass etc. Basically, it is the process of combining different objects with different backgrounds. Photoshop Collage masking can add one object to another background and make a new photo. For example, you can put a model from a beach side to a shopping mall through Photoshop by using this service. There are uncountable benefits of Image Masking Service. You can get the perfect image and background using image clipping service. The images worked under masking, looks attractive. So, it is easy to attract customers showcasing those images. More customers cause the growth of business. Thus, you can make profit. Photographers make a portfolio with those pictures to impress their clients. Photographers get recognition and earn a smart profit by this service. Clipping Path Experts has an expert team especially for photo masking service. We work effectively on hair masking and isolating the background perfectly. In layer masking, our team uses selection tool to edit the bitmap image. We are also expert in vector masking. We use the updated version of adobe Photoshop to provide the best service. We always think about our client’s satisfaction with low cost. Clipping Path Experts offers Image Masking Service at factory price. We are providing this service in reasonable price, which is worth $1.85 per image.